Running a web server on Raspberry Pi, such as "lighttpd", is just half as much fun without PHP5. 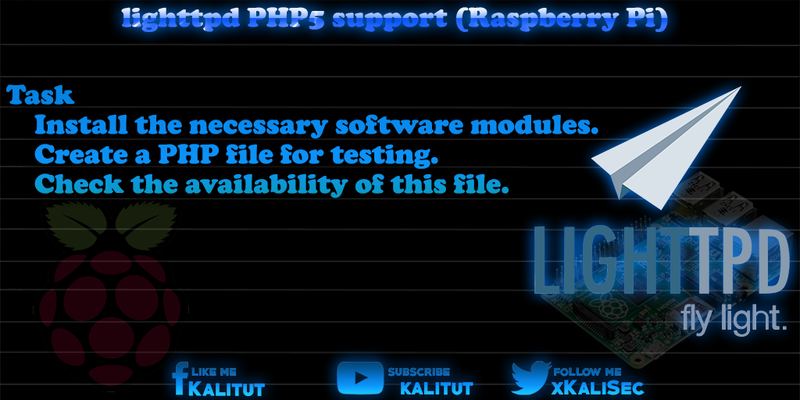 So the task is to extend the already installed web server "lighttpd" with PHP5 support so that PHP files can be executed. Install the necessary software modules. Create a PHP file for testing. Check the availability of this file. The following solution assumes that the lighttpd server is already installed. If so, you must first install the necessary software modules for PHP (version 5). It is advisable to follow the order of the packages. Otherwise it could be that additionally Apache2 is installed. That will inevitably lead to problems. If everything works, the browser displays detailed information about the installed PHP version.